From lighting and vegetation, to parking lot and sidewalk plans, we partner with developers to design functional, aesthetically pleasing outdoor spaces to fit businesses, apartments or other commercial properties. River's Bend at The Preserve is a housing development in Fargo. Land Elements designed this large entrance sign into the property. Each detail for this sign was carefully considered and designed to create a natural look. Land Elements designed the streetscapes and property layouts for the entire development. 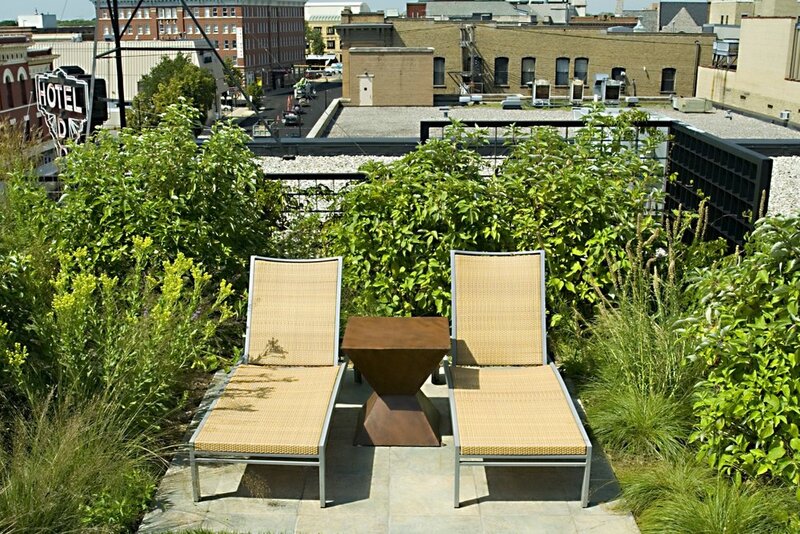 Urban, entertaining rooftop garden for guests of the Hotel Donaldson and HoDo Restaurant and Lounge. 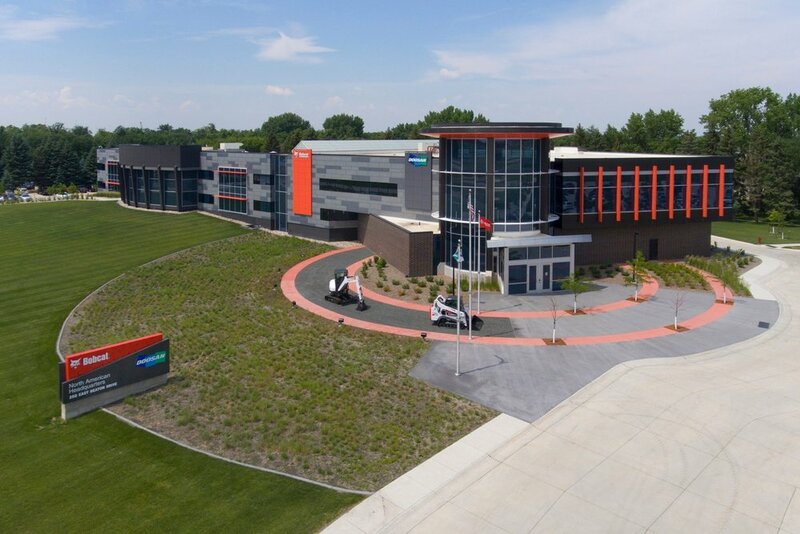 A new entry orientation was developed while accentuating architectural features of the building in the landscaping. Handicap access was developed in the design. The challenge for our design team was to create a modern yet timeless solution befitting of the venue's location in Island Park. 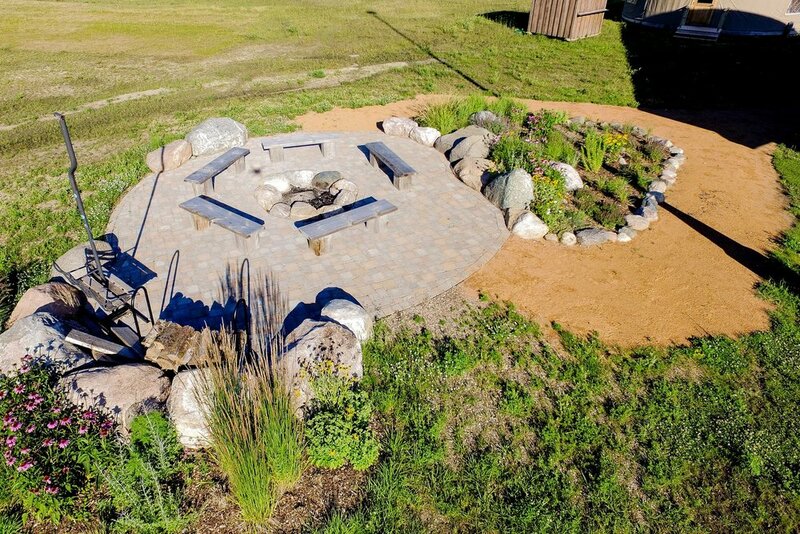 The Fargo Project transformed a barren pit into a welcoming commons. Land Elements provided sculptural landscape and a Natural Play area. Land Elements designed the back patio seating area and landscape at Porter Creek Hardwood Grill in Fargo. This project also included a bridge over the stream for customers to cross on their way to be seated at a table. The fountain and stream on the back patio of Porter Creek Hardwood Grill creates an outdoor oasis for guests. Clubhouse Hotel & Suites shares a back yard space with Porter Creek. Land Elements designed this patio design at the hotel, including pergolas and seating for guests. Dakota Boys and Girls Ranch is a residential facility located in Fargo. Inspirations for this design were drawn from the strong lines of architecture and agriculture of our region. Detroit Mountain Recreational Area has hiking and biking trails in addition to ski and snowboard runs. This sign was designed with goals of matching the natural environment that surrounds it. The lodge is surrounded by native grasses, trees and perennials. The entire parking lot was designed to keep a natural environment look. Another sign that we designed at the entrance of the trails. The layout of the parking lot was extremely strategic in order to complement the entrance while efficiently managing the flow of traffic.